Now Available as Open Source! Our Accelerator for Visual LANSA Solution is now available for free as open source. This solution is no longer being actively enhanced by us except for specific requests from customers or from accepted open source contributions. We do continue to maintain and support the product for customers who opt into our product support. This is a fantastic solution for LANSA Development shops and far superior than anything else available. If your shop continues to invest in developing applications using Visual LANSA, then this is a great option. If you would like access to the solution and participate in the open source development, please contact us at (239) 405-8427 or by email at info@surroundtech.com. Accelerator for Visual LANSA is an essential framework and toolkit for LANSA Developers. With it Developers can create very rich, robust Windows and Web applications within the Visual LANSA development technologies. Every user, every application, every system, every data bit, all seamlessly interwoven into elegant Business Solutions. The Accelerator™ architecture is designed from the ground up to support a Service-Oriented Architecture. Built-in features like Business Objects, Frameworks, Bus Interfaces, Plug-Ins, XML, Dashboards, and Wizards simplify deployment. For companies with legacy IBM i software, a key business goal is extending system life, and when possible, expanding capabilities. The Accelerator's code-generating System Wizard enables point-and-click application assembly and simplifies future changes, enhancements, and maintenance. Its standardized framework architecture enforces good, repeatable design and is the basis for long-term application durability. Not only does The Accelerator™ speed up development, users report it can increase their productivity as much as 25% or higher. Many user interface details are automated, assuring operability whether deployed in Windows or the Web. This demonstration illustrates how The Accelerator for Visual LANSA works and what it can do. Of course this brief demo cannot show all of The Accelerator's comprehensive capabilities, so contact us for more details. Watch as a developer steps through the Accelerator Wizard to create a feature-rich system in both Windows and Web around LANSA's Personnel system. Business Objects and Services, BOS, enables you to quickly and easily provide integration and interoperability with your own business processes and data. BOS implements a framework that is a part of Surround's Envision Service-Oriented Architecture. The framework consists of server-side Business Objects, Presentation and Data Service Buses, and Service Adapters. With BOS it is possible to produce a loosely-coupled, modular, dynamic (data driven), single underlying (standardized), service-oriented architecture around your data and business processes, out-of-the-box, through a step by step wizard. Built-in service adapters provide the necessary interfaces to integrate with other applications, business partners and customers. It is also possible to interoperate, or plug in, parts of your system into other software such as MS Office, SharePoint, and reporting solutions. Of course, as with all Surround's software, the framework also provides the back-end operational management, security, and authentication. Quickly and securely build custom reports using any reporting tool that can use XML including MS Office (Word, Excel), Crystal, Altova, etc. BOS provides a true Service-Oriented Architecture for your back-end data and business processes. This architecture allows you to quickly respond to industry trends and needs with adapters for XML, SOAP, REST, Active-X, .NET, XAML/WPF, etc. Because of SOA, BOS functions under IBM i, Windows, LANSA – virtually any server. The Accelerator™ for Visual LANSA offers hundreds of features that Surround built and delivered over 10 years from 1999 to 2009 when LANSA, Inc. put technologies and licensing costs in place that made it impossible to continue to enhance further. While LANSA no longer provides licensing for the solution to integrate directly with the LANSA proprietary IDE, the generation wizards can still be used outside of the IDE to generate powerful Visual LANSA based applications. Below are just some of the great features and benefits provided through the solution. Standardized Framework Architecture – The Accelerator and its code-generating Wizard provides a base framework that helps assure consistent and repeatable programming structures that are the foundation of solid application development standards. This puts Programming Teams in sync and allows any member to step into a development effort mid-stream and be productive, as well as simplifying future maintenance or system enhancements. An intuitive interface for the developer to work from shortens new developer learning curves and provides a comfortable environment that makes even advanced developers more productive. Open System and Source Code Provided – It's an open systems architecture that's fully LANSA compatible and comes with full source code access. While we strongly recommend that the Base Components not be modified, we do encourage advanced developers to review the code when they wish to duplicate similar functionality. 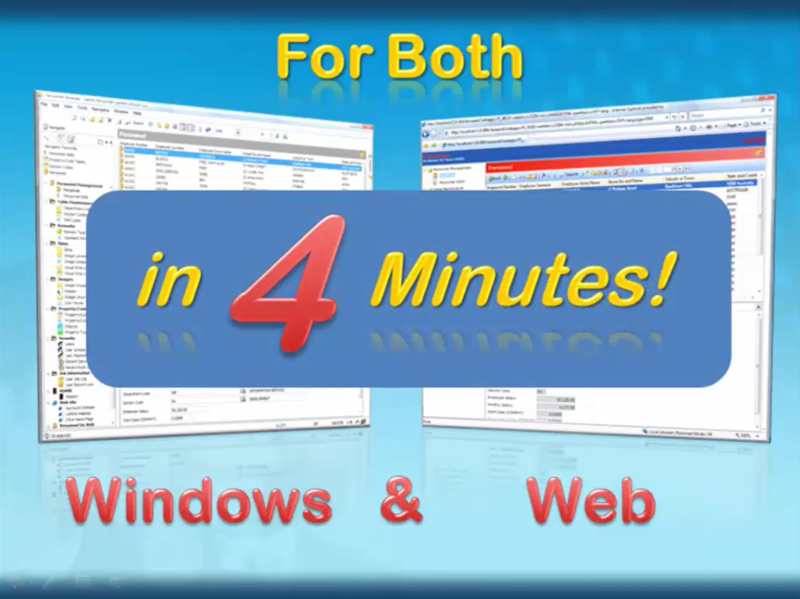 Windows-on-the-Web (WOW) – Surround has integrated Windows-style handling and features within a browser, enabled through AJAX, delivering performance levels that rival native desktop applications. The Accelerator Wizard simultaneously builds apps that can be run on Windows desktops in addition to zero-deployment Web apps, allowing one application to support users in either environment without added training. Rapid Prototyping – A developer or analyst can easily put together an entire system prototype in a matter of minutes without creating or generating code. The shell of an entire system can be created right in front of the users for their immediate feedback. The project is road-tested and improved during this development evolution. Reduce Pilot Deliverable Time – After the prototype is completed, a developer can create a functional pilot system using our wizards and templates. Pilot projects can be launched in a fraction of the time. Since modules from other systems and applications can be easily integrated into a new system or application, it is possible to provide fully functional pieces of an application without coding. Reduce Custom Development Time – The Accelerator for Visual LANSA an object-oriented architecture system that is fully configurable and very flexible, making it easy to customize components for specific requirements without affecting the rest of the application. Simple to Code – A Code Generator is used to easily generate the code that is required to customize an application to fit your data. The code generated is well documented and accessible for review and modification if needed. Common and expected UI elements such as Window Layout, Titles, sizing, mouse operations, etc. Ajax – The basis for Web 2.0, AJAX allows the browser to only refresh the part of a page that has been modified. Zero-Deployment – Provide your application to anyone, anywhere, at anytime. Subject to proper authorization of course! Other pre defined and definable content windows such as Web Browser, 5250 access, image browsing, custom business content, etc.